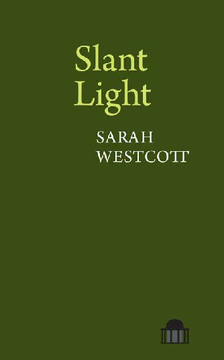 In her first full-length collection, Sarah Westcott immerses the human self in the natural world, giving voice to a remarkable range of flora and fauna so often silenced or unheard. Here, the voiceless speaks, laments and sings - from the fresh voice of a spring wood to a colony of bats or a grove of ancient sequioa trees. Unafraid of using scientific language and teamed with a clear eye, Westcott’s poems are drawn directly from the natural world, questioning ideas of the porosity of boundaries between the human and non-human and teeming with detail. A series of lyrical charms inspired by Anglo-Saxon texts draw on the specificity of the botanical and its spoken heritage, suggesting a relevance that resonates today. Westcott’s poems are alive to the beautiful in the commonplace and offer up a precise honouring of the wild, while retaining a deeply-felt sense of connection with a planet in peril.